Very insightful! My thoughts have been running along these lines for a while, and you’ve just provided a boatload of substance to meditate on! I’ve also shared this post with a friend from a Bible study I attend. He was asking several weeks ago about YHWH hardening Pharaoh’s heart. Your commentary will be helpful for him, as it is for me. Looking forward to Part II. Thanks! Hi K. Seems there is unity in the Spirit . . . The under shepherd of our little congregation has been doing a series on the heart (leb/levav) for some time. Mine is being squeezed and like a nasty pimple, what is coming out is not particularly pleasant. The testing of the heart, mine. It is uncomfortable, downright miserable. Coming face to face with the lack of Messiah in me goes from irritating to frustrating to humbling. Thank you for this. You have a way of articulating that cuts to the chase. Thanks for commenting! I can TOTALLY relate to the vivid imagery you gave about your heart. As a matter of fact, one reason I haven’t posted Part II of this post is because I have been enduring my own testing. But that is part and parcel to the month of repentance we find ourselves in during Elul. It truly is a humbling and bittersweet time. So glad to hear that your shepherd is teaching on this. I wish I could hear it! YHWH willing, I will finish Part II and post it before the month’s end. (: The heart is the core of the many layers that make us who we are, and you’re right, what we find there is usually unpleasant. 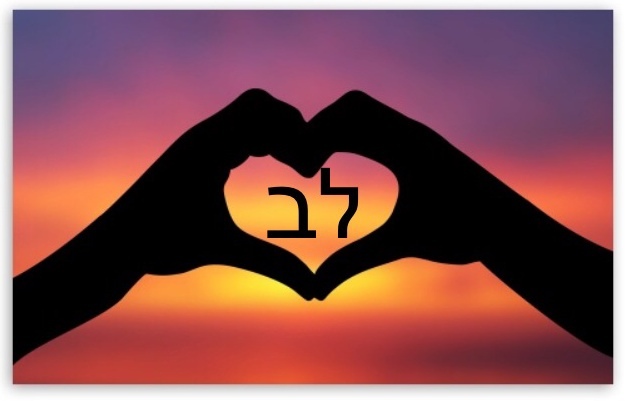 Praise HaShem for His mercy and compassion toward our wretchedness! I certainly need it! What excellent insight! I do not want to be double-minded. I need to post this in the cave.